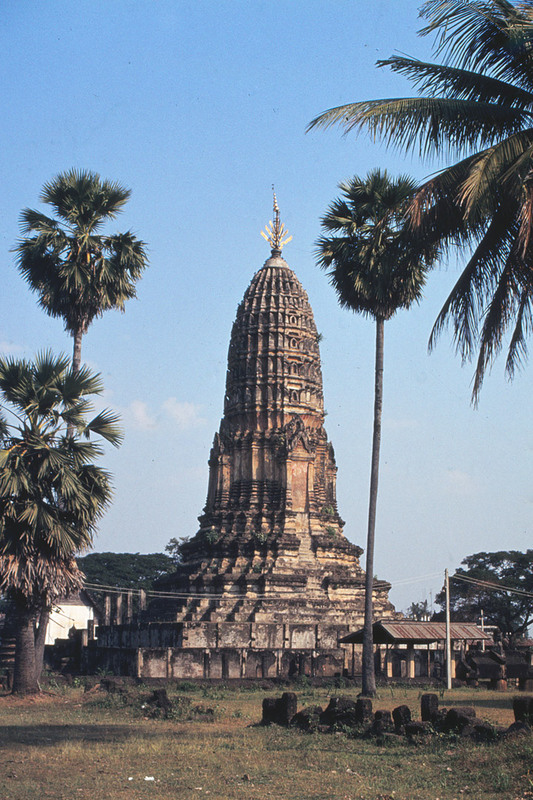 A wat (derived from the Pali word avasa as well as from the Sanskrit word avasatha) is a monastery temple in Cambodia, Laos or Thailand. 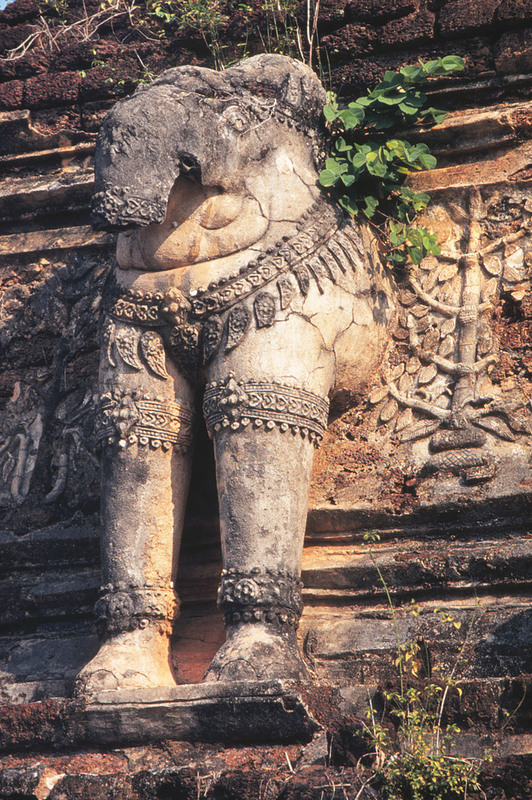 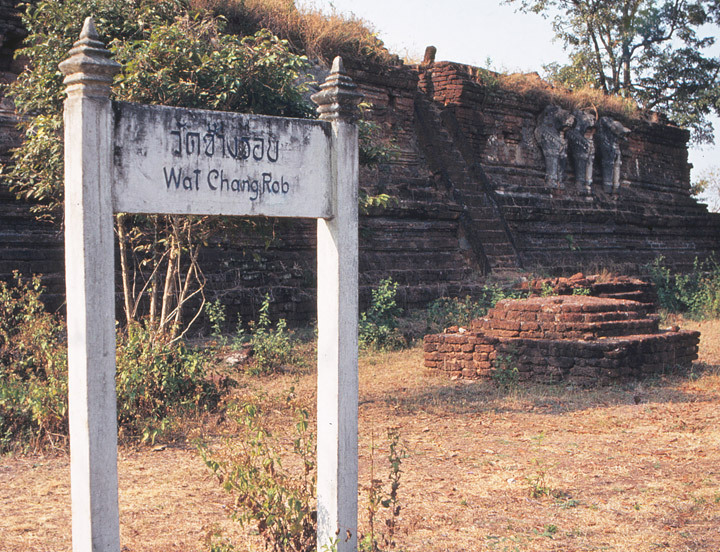 The word "wat" (Thai วัด) (sometimes rendered "vat" when referring to Laos) means "school." 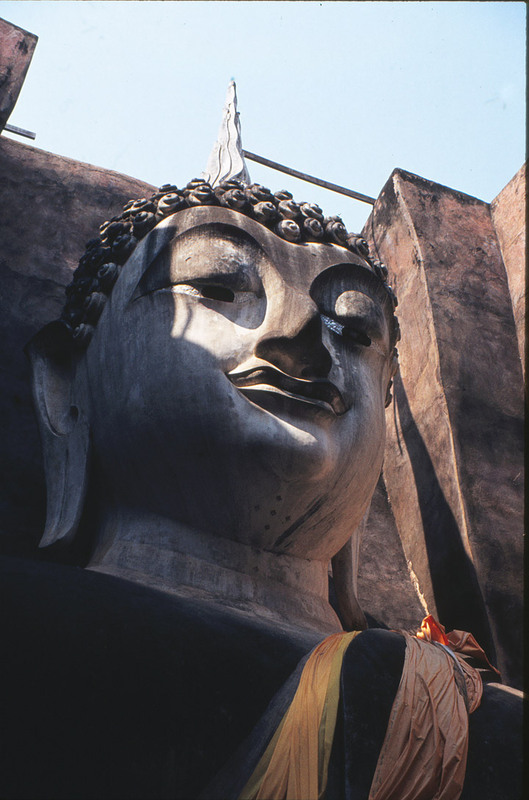 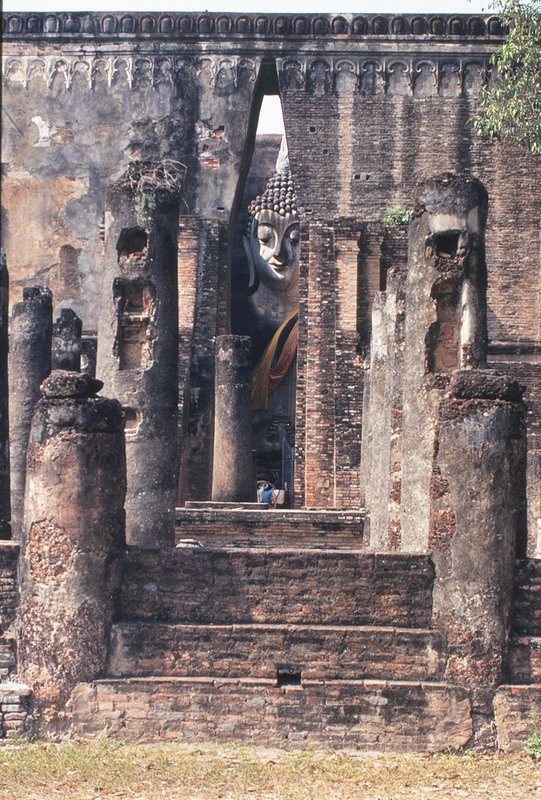 Strictly speaking a wat is a Buddhist sacred precinct with monks' quarters , the temple proper, an edifice housing a large image of Buddha, and a structure for lessons. 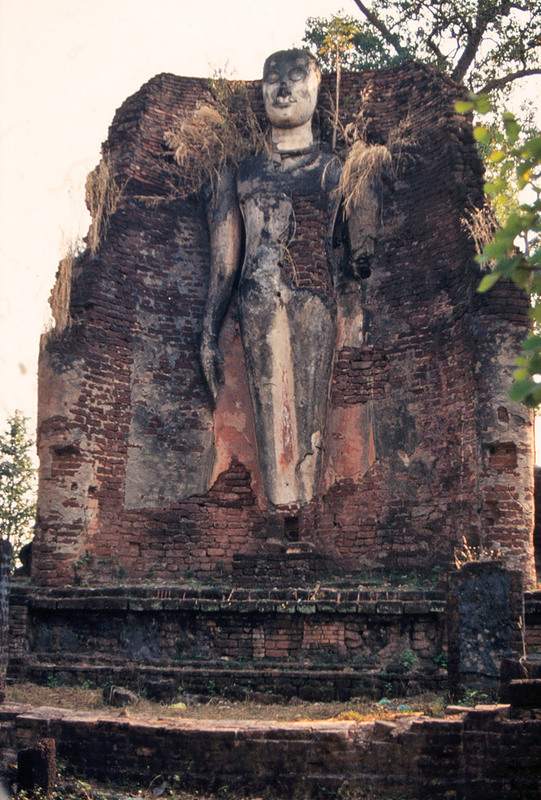 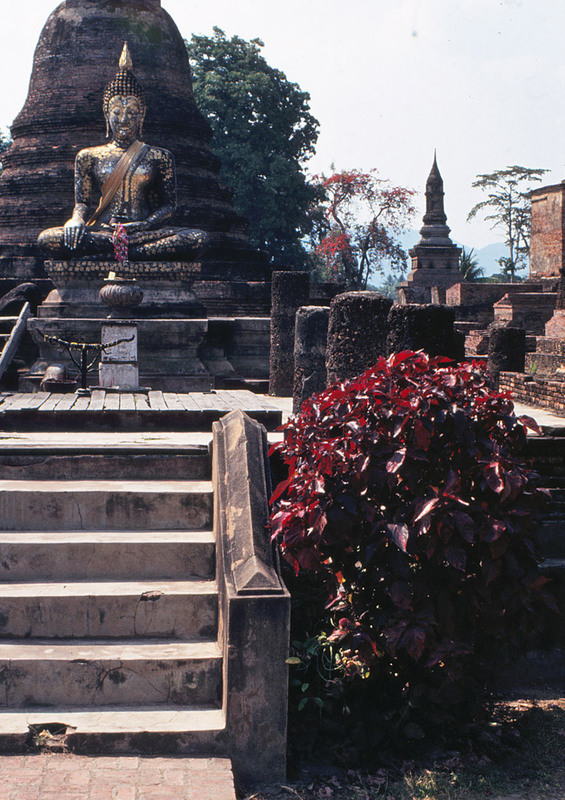 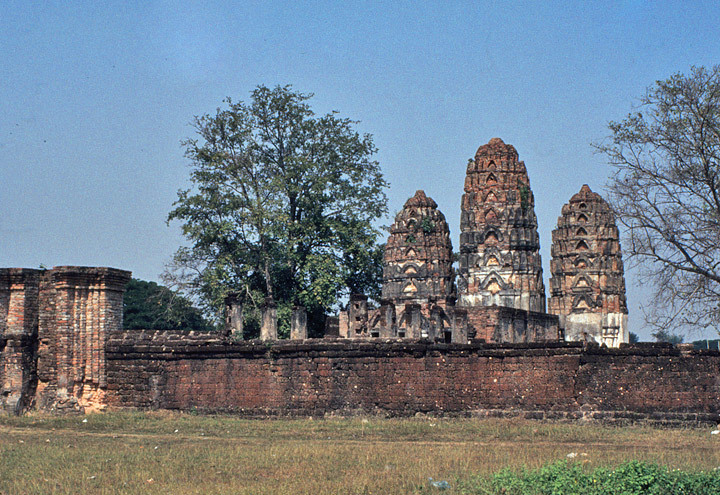 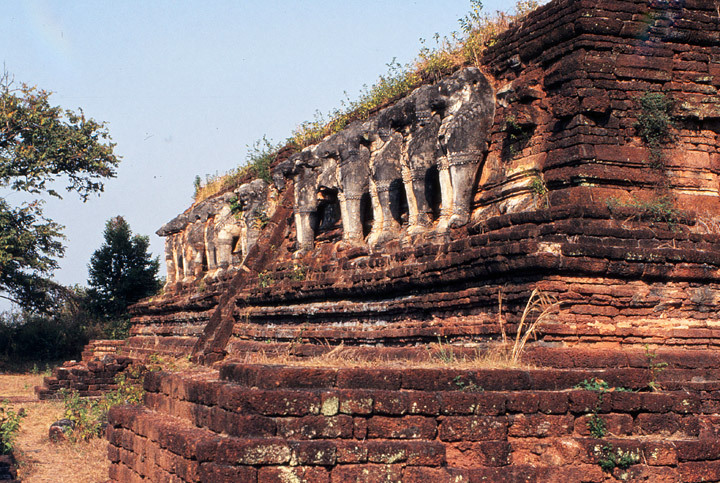 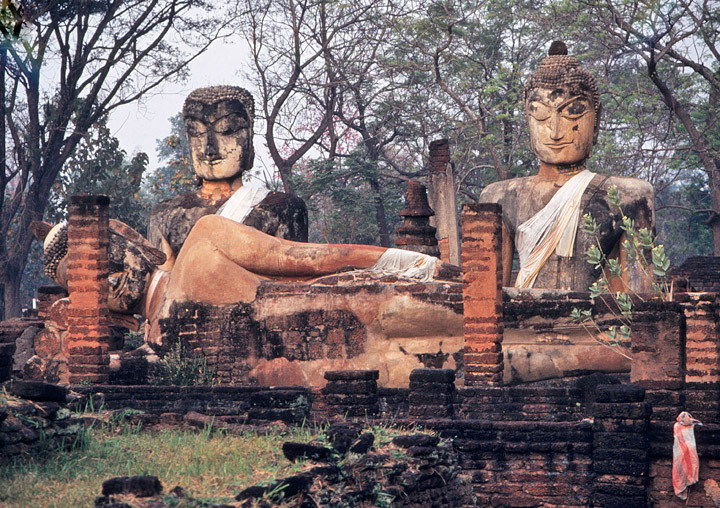 A Buddhist site without a minimum of three resident monks cannot correctly be described as a wat, although the term is frequently used more loosely, even for ruins of ancient temples. 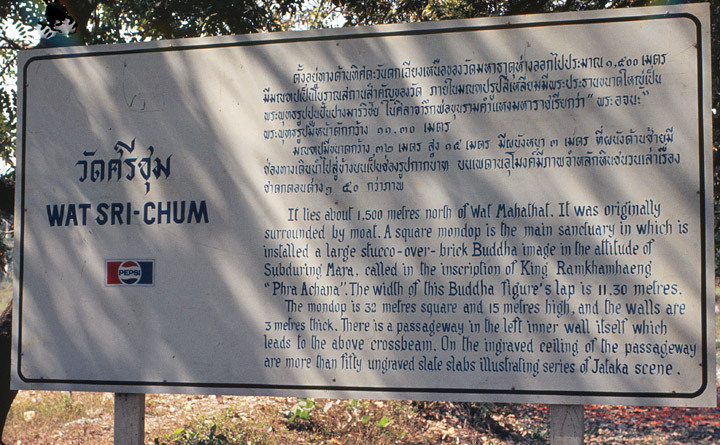 (As a transitive or intransitive verb, wat means to measure, to take measurements; compare templum, which has the same root as template). 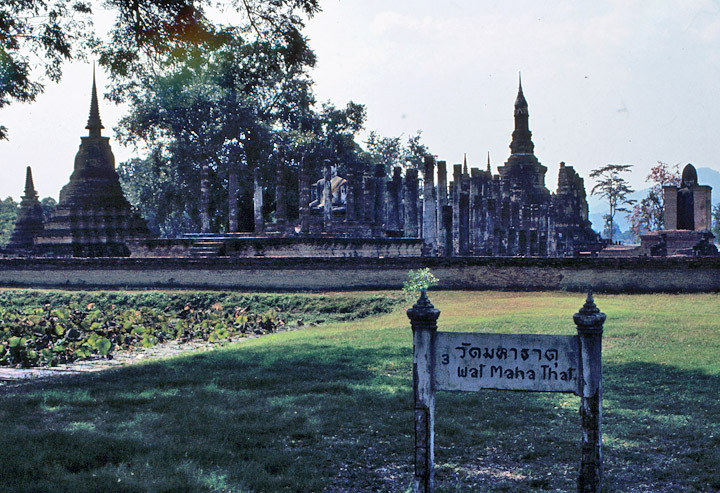 In everyday language in Thailand, a wat is any place of worship except a mosque (Thai สุเหร่า su-rao; or มัสยิด Thai rendering of masjid; a mosque may also be described as โบสด์ของอิสลาม bot khong Is-a-lam). 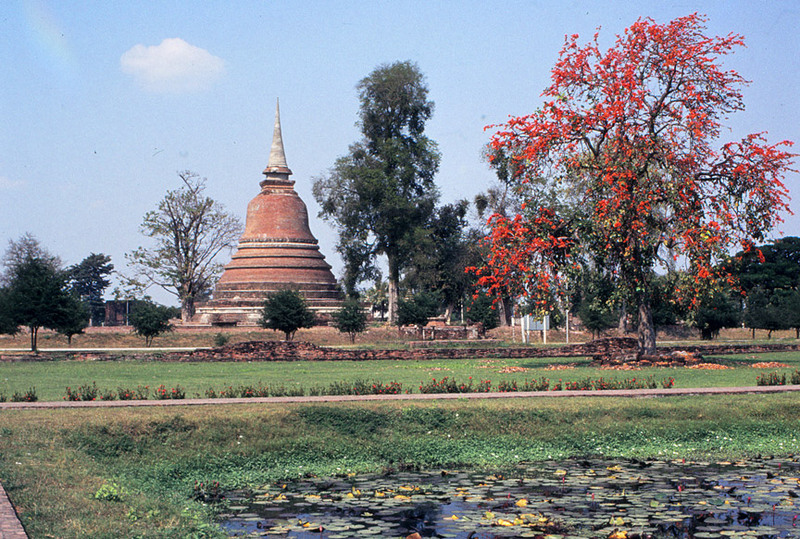 Thus wat cheen is a Chinese temple (either Buddhist or Taoist), wat khaek is a Hindu temple, and wat kris or wat krit or wat farang is a Christian church, though Thai โบสด์ (โบด bot) may be used descriptively as with mosque. 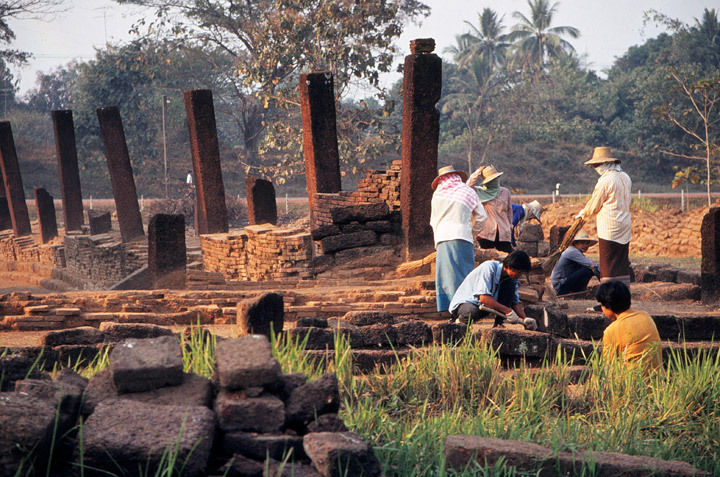 * mondop มณฑป (from Sanskrit: Mandapa) - a usually open, square building with four arches and a pyramidal roof, used to worship religious texts or objects. 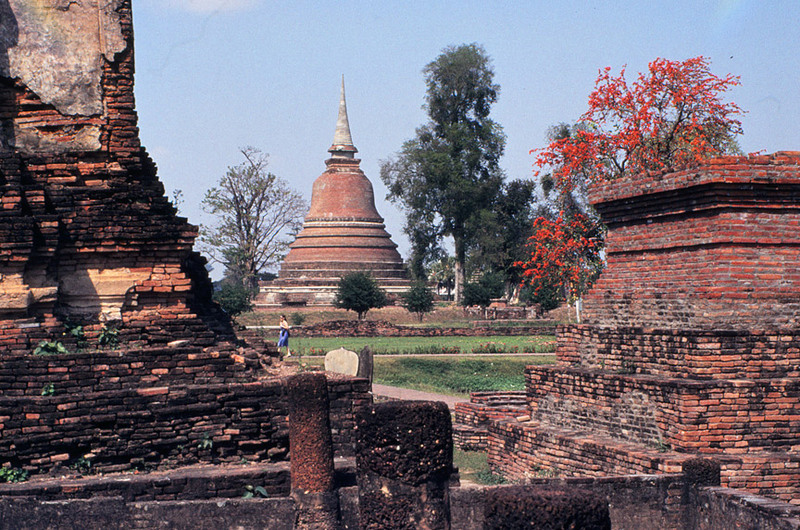 * haw rakhang หอระฆัง - bell tower. 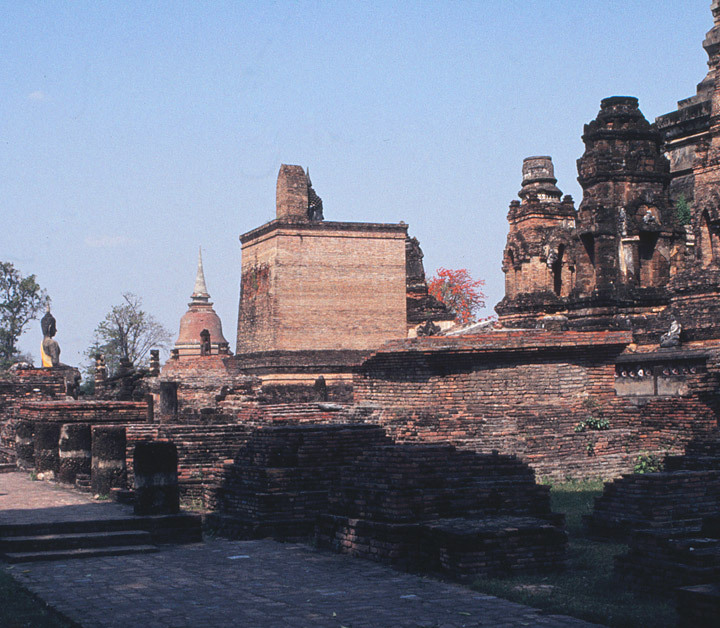 The living quarters of the monks, including the กุฏิ (กุติ kuti or กุด kut (monk cells) are separated from the sacred buildings.